POPE Francis has broken protocol once again, appearing with a puzzled look on his face in a “selfie” photo taken with a group of teenagers visiting the Vatican. The young believers were part of a church group from northern Italy who met with the leader of the world’s 1.2 billion Catholics on Wednesday and were seen going up to him afterwards to take their photo. 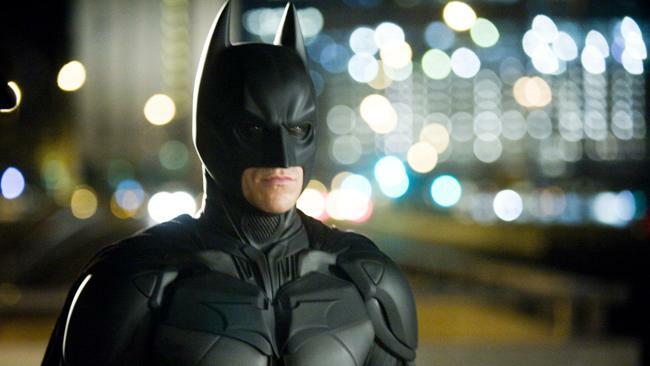 RESIDENTS of France’s second-largest city have called on Batman for help after a recent surge in violent crime. 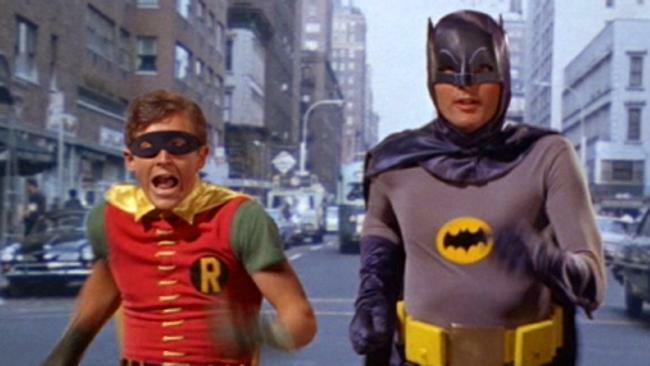 The mock online petition and Facebook page, entitled Will It Take Batman To Save Marseille?, comes after a pensioner was shot dead last week trying to stop a robbery, according to reports. Jacques Blondel, 61, knocked the robbers over with his car and confronted them with a baseball bat and pepper spray after they held up a tobacconist. He tried to reason with them and grabbed for their gun but was shot in the thigh and stomach. 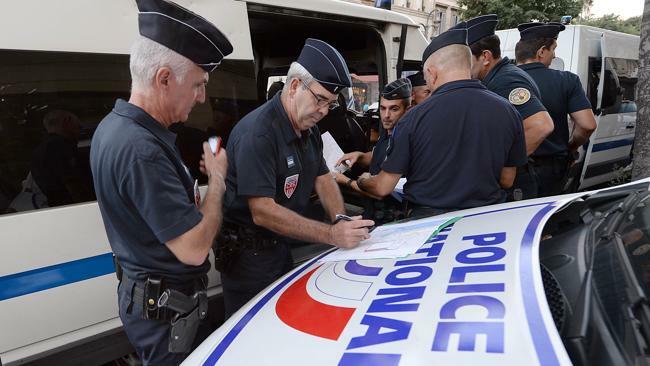 Marseille has also seen 13 gang-related killings this year, many thought to be linked to the drugs trade. Criminal gangs are increasingly using heavy duty weapons such as AK-47 assault rifles, thought to arrive in the city through its Mediterranean Sea port. The government has said it is sending in 130 extra riot police – who will be patrolling streets by the end of August – as well as 24 more detectives. But many residents are critical and say politicians are not doing enough. “Today finished the sound bites and rhetoric … The city needs action!” says the petition. This retro Batman might not be the right solution to Marseille’s crime problem, however. Ben Affleck was not available for comment. This just in from the only person who could ever put up with me. Please note that some of the ‘facts’ below have been proven false myths. An example is the duck’s echo which does not echo (but proved that it does). Plutonium – first weighed on August 20th, 1942, by University of Chicago scientists Glenn Seaborg and his colleagues – was the first man-made element. If you went out into space, you would explode before you suffocated because there’s no air pressure. The radioactive substance, Americanium – 241 is used in many smoke detectors. Only one satellite has been ever been destroyed by a meteor: the European Space Agency’s Olympus in 1993. At a jet plane’s speed of 1,000 km (620mi) per hour, the length of the plane becomes one atom shorter than its original length. The first full moon to occur on the winter solstice, Dec. 22, commonly called the first day of winter, happened in 1999. Since a full moon on the winter solstice occurred in conjunction with a lunar perigee (point in the moon’s orbit that is closest to Earth), the moon appeared about 14% larger than it does at apogee (the point in it’s elliptical orbit that is farthest from the Earth). Since the Earth is also several million miles closer to the sun at that time of the year than in the summer, sunlight striking the moon was about 7% stronger making it brighter. Also, this was the closest perigee of the Moon of the year since the moon’s orbit is constantly deforming. In places where the weather was clear and there was a snow cover, even car headlights were superfluous. According to security equipment specialists, security systems that utilize motion detectors won’t function properly if walls and floors are too hot. When an infrared beam is used in a motion detector, it will pick up a person’s body temperature of 98.6 degrees compared to the cooler walls and floor. If the room is too hot, the motion detector won’t register a change in the radiated heat of that person’s body when it enters the room and breaks the infrared beam. Your home’s safety might be compromised if you turn your air conditioning off or set the thermostat too high while on summer vacation. Sharks and rays are the only animals known to man that don’t get cancer. Scientists believe this has something to do with the fact that they don’t have bones, but cartilage. Catnip, or Nepeta cataria, is an herb with nepetalactone in it. Many think that when cats inhale nepetalactone, it affects hormones that arouse sexual feelings, or at least alter their brain functioning to make them feel “high.” Catnip was originally made, using nepetalactone as a natural bug repellant, but roaming cats would rip up the plants before they could be put to their intended task. During the chariot scene in ‘Ben Hur’ a small red car can be seen in the distance. Hi folks! It’s just about to be my (neveryoumind’th) < watch for this new word in the next Webster dictionary, birthday. You ask and so do I “Andy, What have you learned and done this year. – Well you will be delighted to learn I spent my time working and paying bills. My very fantastic soon to be wife moved up here from Missouri, it takes an incredible woman with thick skin to deal with me. -…… long pause, Nah that is it. Looking forward to seeing you at my funeral so that I might not choose to haunt your house. That comedy show was really enjoyable entermation as I learned some real life lessons from it. After the client left our office we spoke of how he was quite the conversator. In Singapore, it is illegal to chew gum. In Missouri, a man must have a permit to shave. *(I imagine the barber). I found this on http://metro.co.uk/ Pretty funny enjoy! This latest idea contains all the ingredients for the perfect prank – full-blown looks of horror, slapstick comedy and, most importantly, men in dinosaur costumes chasing unsuspecting victims down office corridors. While watching the two videos, you may like to think about how glad you are the Japanese version of Ofcom apparently doesn’t take its role very seriously.